I was in Alberta this summer and had some time to appreciate the landscape. From the top of the one of the gentle rolling hills, you can see forever – so different from the view here in Vancouver. In the background you can see the Rochfort Bridge Trestle, one of the longest wooden train trestles in North America. 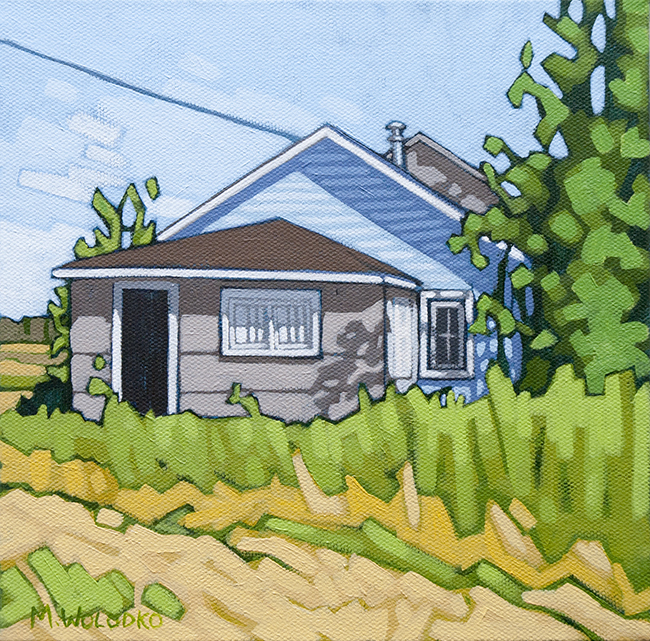 This is a little painting of my Grandma’s house, which I have painted before. My style has changed quite a bit since the first one. I’m not sure who took this photo or how it got into my files, but thanks to the family member who shared it. This painting is available as a print on Etsy. 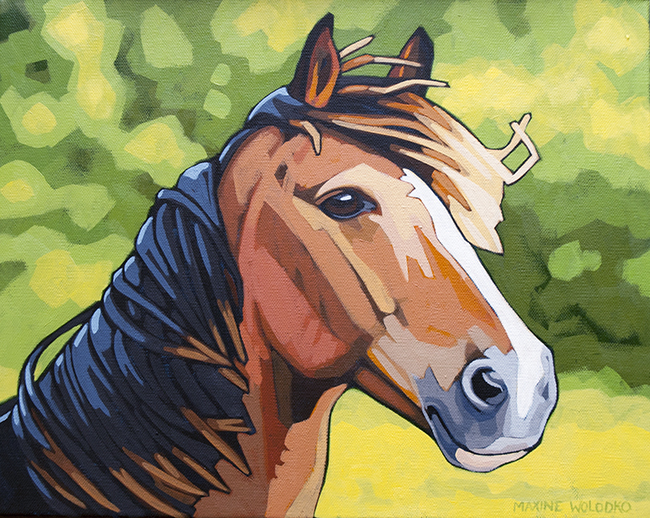 I don’t seem to have a solid direction with my painting right now, so here is another horse. 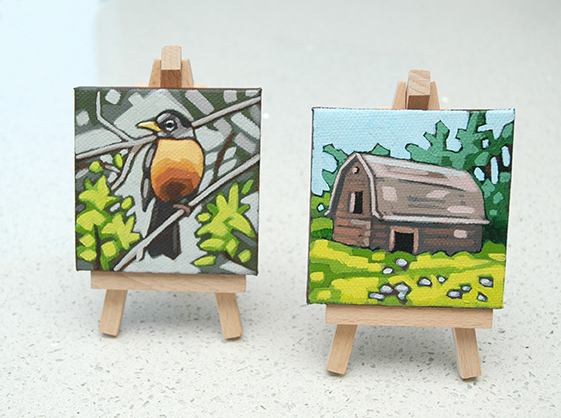 When I don’t know what I want to do next, it is important that I keep something on the easel. Sitting around waiting for inspiration to strike rarely works. 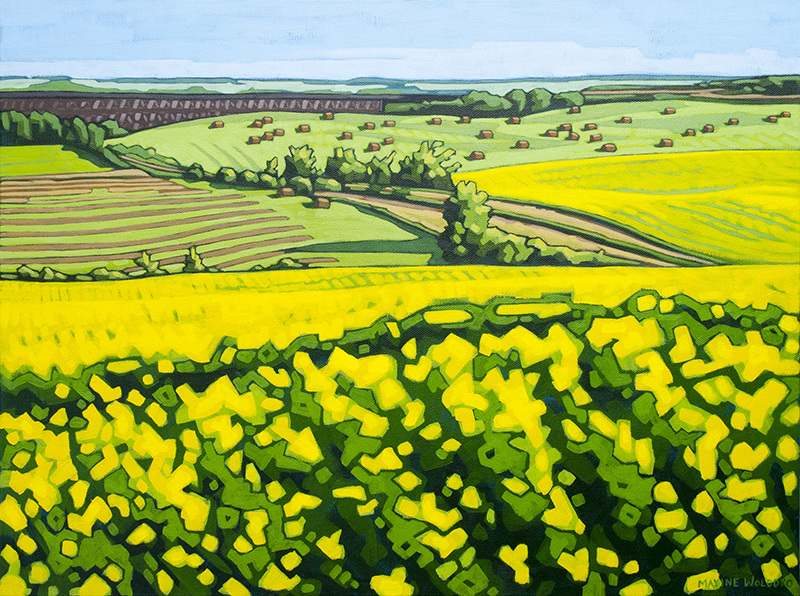 It doesn’t really matter what I’m painting, I just have to keep at it and hopefully some ideas will emerge. Painting a bit of this and a bit of that is my plan for now. 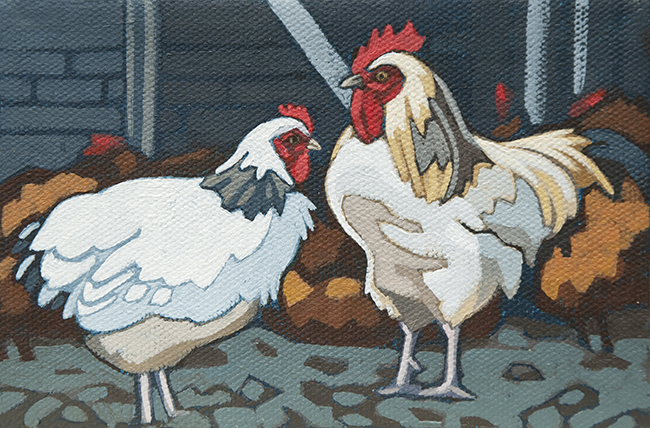 These two little 6″ x 4″ paintings will be my last chickens for a while. Time to move on to something else I think. The set is for sale on Etsy. 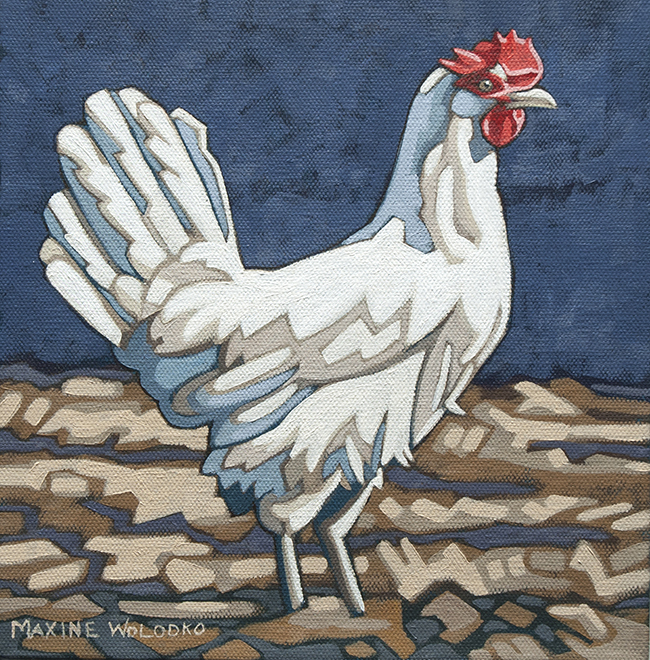 A chicken named Blanche. Available on Etsy. 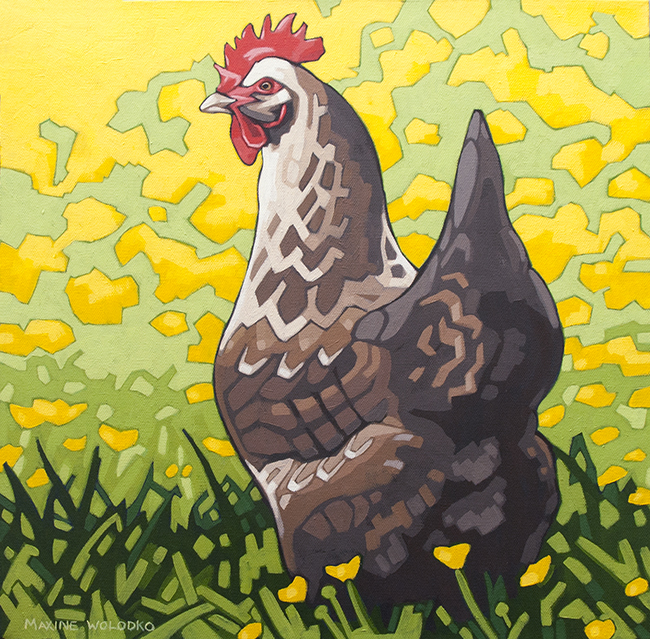 If I name a chicken after you (accidentally or on purpose), please don’t be offended. It doesn’t mean that you look or act or remind me of a chicken. Actually I find most of them to be quite beautiful. 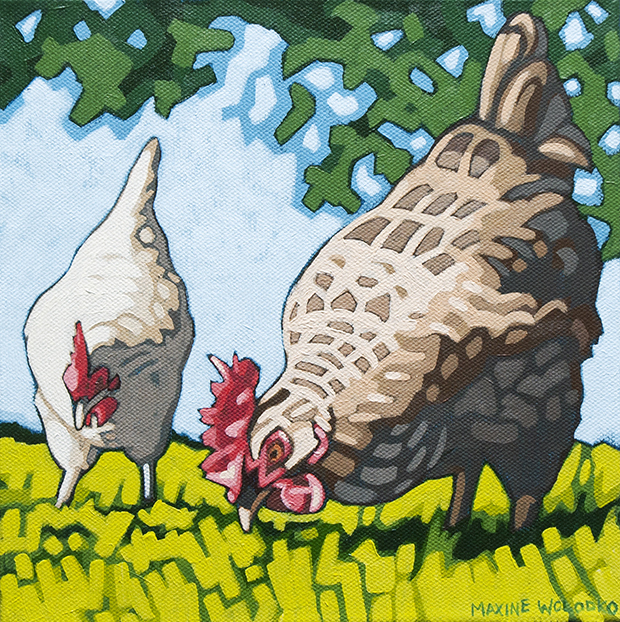 On the other hand, if you would like one of these chickens to have your name, please let me know! This one’s for sale on Etsy. Chickens. 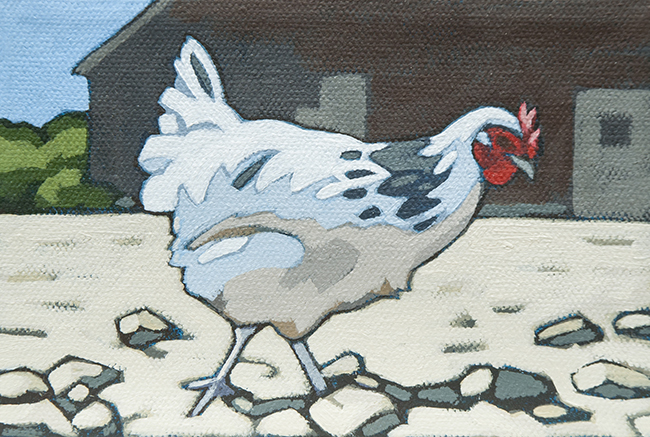 Not a very exciting name for a painting of chickens. 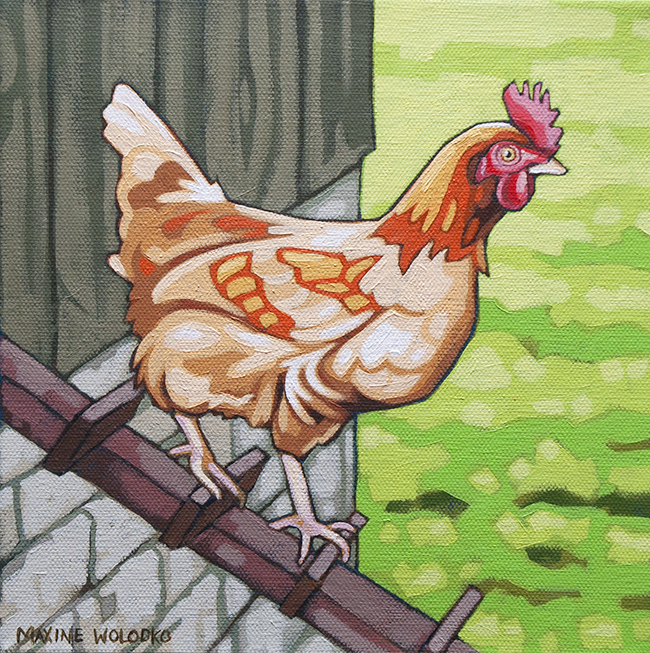 This naming problem isn’t going to go away, as I have a few more chicken paintings planned. I could either number them (chicken 1, chicken 2, chicken 3), which would be really boring. Or I could just give them names, which is much more fun and adds a little personality. So, let me introduce you to Betty and Veronica. This one is for sale on Etsy. 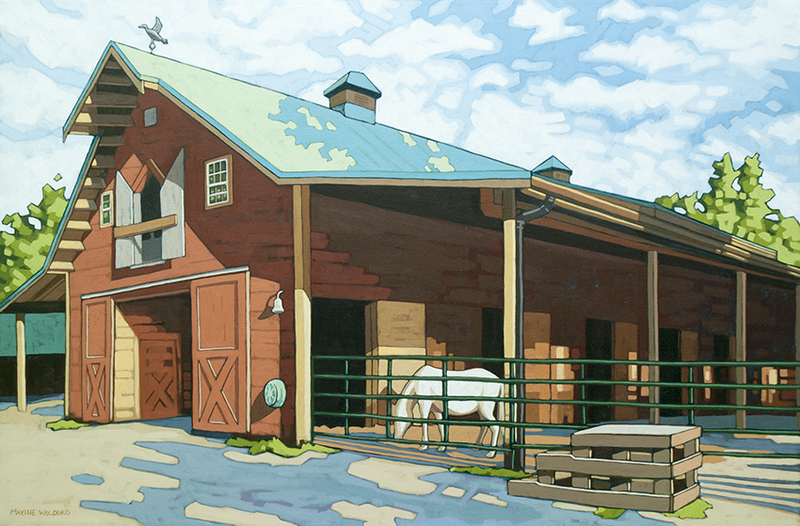 It’s unusual to see this barn without a bunch of kids out front and people wandering around. Southlands Heritage Farm is a community farm, open to the public – a great place if you need a break from the city, without leaving the city.